Life doesn’t give you a heads-up when something magical is about to take place. So when the extraordinary occurs – the sun over an emerald-green Pacific, your daughter’s recital – you want to capture those moments while staying in the moment and without entering phone passcodes. You want a camera that’s easy to use, so you never miss a step. You want something durable, loaded with options yet small enough to slip into your pocket. You want the Logitech bemo. Press and hold the record button and you’re making movies: it’s that easy. Record up to 60 seconds of video in 720p resolution and store up to three hours of video on the included 4GB microSD card. Connect your bemo to your iPhone via Bluetooth and download the bemo app to create your own cinematic mini-masterpieces. Edit clips individually, or build a longer movie from multiple clips. Add some silver screen sparkle with the included color filters, a variety of music tracks and even titles. Then share with friends and family on social media, through email or Message. The bemo app also lets you set up shots with a remote record trigger, and even offers a time-lapse video mode, among other shot-frequency times. 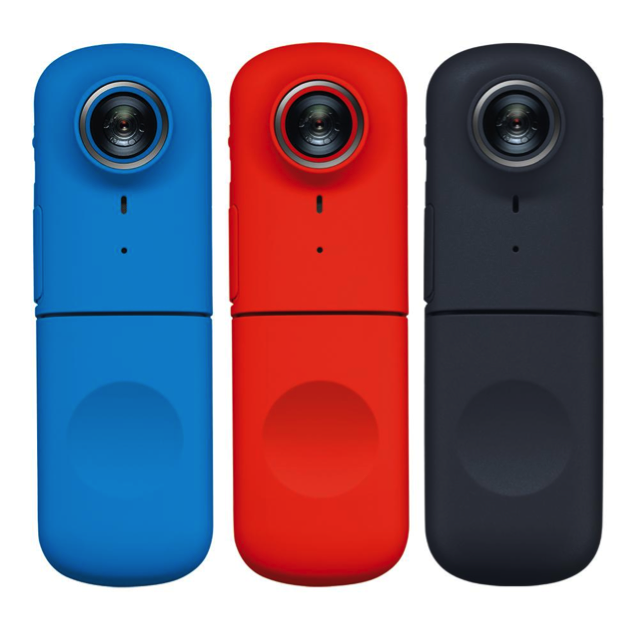 Each camera is rugged, water-resistant and available in three colors: Moroccan Red, Manhattan Black and Mykonos Blue. Memories pass us by every minute. Capture them all – the epic, the everyday and all that’s in between – with Logitech bemo. What’s your best moment of 2015 so far? Share it on @mybemo!